If you have ever dreamt of soaring over some of Canada's most spectacular scenery from its golden prairies and snow capped mountains to its buzzing cities, then this is the ride for you. 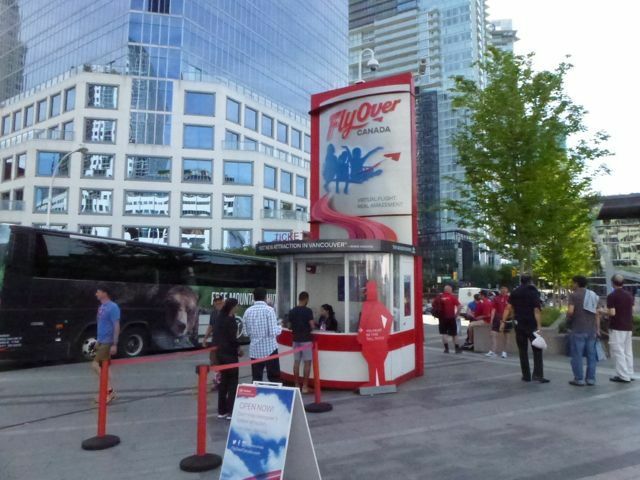 FlyOver Canada is a breath-taking eight minute journey across Canada where you will hang suspended in front of a 20 metre spherical screen, feeling the wind and water on your face as you fly over awe-inspiring locations. The whole experience will take 25 minutes. Your journey across Canada begins with "Uplift", a five minute pre-show produced by Moment Factory, a Montreal-based multi-media company. Presented across three walls, Canada's beauty is portrayed through people parkouring, hiking, rock climbing and flying kites through farms, parks and cities. Guests are then ushered to a pre-flight boarding zone to watch a safety video, before buckling themselves in to begin this exhilarating experience. Bags are stored in the pocket under your seat. The seats rise up from the platform and with your legs dangling, it really feels like you are flying. Combining motion, wind, mist and scents, this is a ride not to be missed. Feel the coolness from the snow capped mountains as a helicopter kicks up the loose snow, the mist from Niagara Falls and the chilly water from kayakers paddling down a picturesque river. 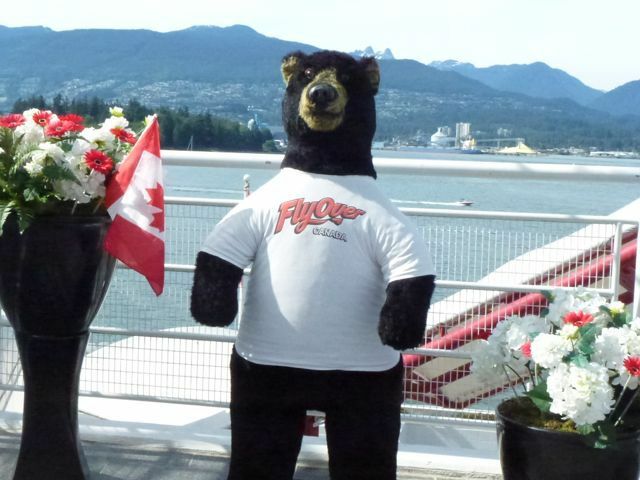 After your flight, enjoy the mountain views or view the seaplanes landing at Coal Harbour from the Sightseeing Deck. Food and drinks are available for purchase at the kiosk. 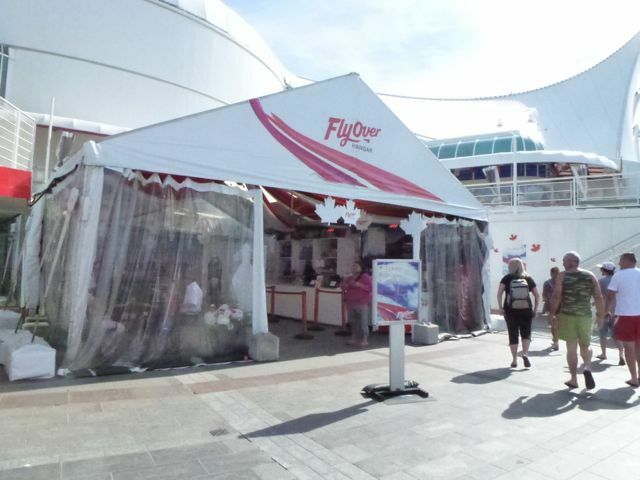 FlyOver Canada is located at Canada Place Pier and is open every day from 10am until 9pm. The ride operates every 15 to 20 minutes. Fast lane tickets are available if you are in a rush. I visited on a Sunday afternoon and the wait time was only five minutes. Guests can also save 10% by purchasing tickets online. Strap yourself in and get ready to experience an incredible sightseeing adventure across Canada.